Boca Raton, Florida Collection Attorney Stephen Gebeloff completed his fifth marathon on November 4, 2018, completing the New York City Marathon. Mr. Gebeloff is an attorney with The Gebeloff Law Group, providing debt collection legal services. Running a marathon is difficult, but sometimes collecting past due account receivables can feel like a marathon to some of our firms Florida debt recovery clients. We welcome you to call our law firm and speak to our debt collection attorney to map out a long-term debt collection strategy. Collecting debt in Florida is not always a straight forward process. Florida is known as one of the friendliest States for debtors to reside. There are many exemptions in place that makes it hard to attach assets when you hold a valid judgment. 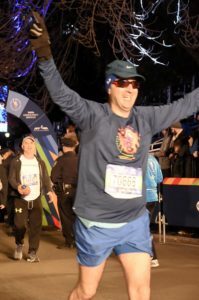 Gebeloff believes that, in part, through his marathon training, he is able to look at each collection case that he is retained, as not a short sprint, but a process that takes time and a sound debt collection strategy put into place. Our debt collection law firm has been representing creditors in all industries for many years and is very familiar with the delays and stall tactics debtors will try to employ to keep our debt collection clients from recovering the money that is justly owed to them. We encourage credit managers and other individuals that may be owed money for goods and/ or services delivered/provided to call our Florida debt recovery law firm. Just like planning to run a marathon, Mr. Gebeloff will lay out a step by step road map to help our clients devise a collection strategy that is tailored to their particular Florida debt recovery case. Florida collection attorney Stephen Gebeloff will be running the New York City Marathon on November 4, 2018. The Boca Raton, Florida debt collection attorney maintains a commercial debt recovery law firm – The Gebeloff Law Group. 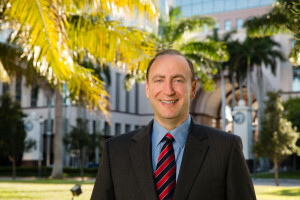 Mr. Gebeloff has been a collection lawyer for many years and when he is not representing his clients collecting account receivable, he often gives advise to other Florida lawyers looking for advice on advanced debt collection strategies and techniques to help clients recover more of their delinquent debt. 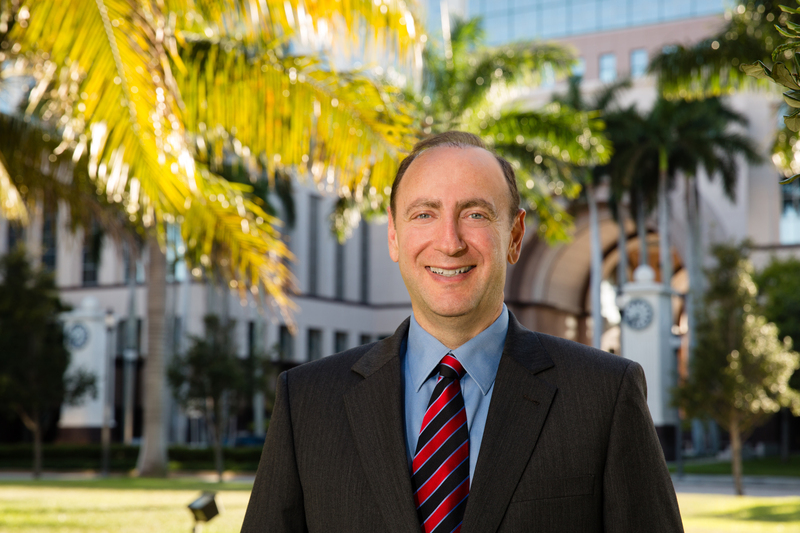 Florida collection attorney Gebeloff will be running the marathon for the Dystonia Medical Research Foundation and welcomes sponsors for this charitable cause. The Gebeloff Law Group gives to many charitable organizations throughout the year. However, our Florida collection attorney also believes that by actively participating in charitable endurance race events, not only is our collection lawyer helping a charitable cause, but also keeps him physically and mentally fit. As our Florida debt collection clients can attest, there are many businesses out there that are not paying their past due invoices and/or are simply stealing product – without the intent of ever paying for the product or services. Collecting debt in Florida can sometimes feel like a marathon to our Florida debt recovery clients. A smart debtor can slow down the debt collection process. The Florida Court System, if put into the hands of an attorney defending a non-paying customer, can drag out the debt collection process for extended periods of time. 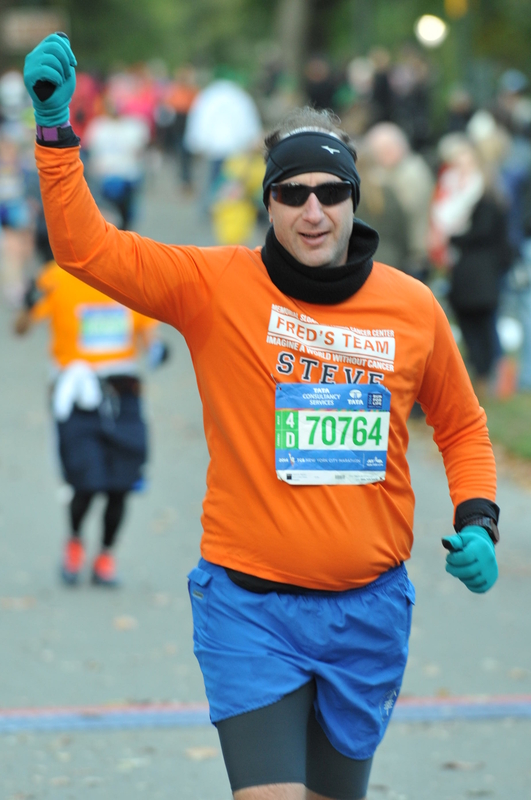 Please feel free to call our NYC Marathon – Florida Debt Collection Attorney, Steve Gebeloff. Working with your company, our Florid Debt Collection Law Firm would be happy to assist devising a debt collection strategy that is just right for you. The Gebeloff Law Group is pleased to announce it has moved its collection attorney offices to new office facilities in Boca Raton, Palm Beach County Florida. The Firm provides debt collection and recovery services for its clients throughout Florida. The collection attorneys are pleased to move to the new Boca Raton office where they will continue to pursue the recovery of account receivable for their debt collection clients who are looking to collect on past due accounts. The Gebeloff Law Group is not a collection agency. In past blog posts we have discussed the difference between a commercial collection agency and a law firm that concentrates its practice on debt collection. A collection agency is not licensed to practice debt collection law. 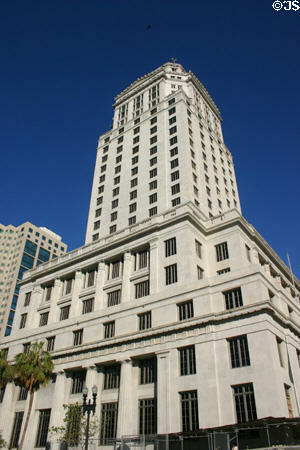 Collection attorneys are licensed in the State of Florida to practice law. The collection lawyers focus on debt recovery and collection. Just like a commercial collection agency our collection attorneys are able to send demand letters for payment of money due to your company. Collecting money in the state of Florida requires a comprehensive debt collection strategy. The collection attorneys at our Florida debt collection law firm are available to custom tailor a debt recovery strategy after speaking to you about your company’s debt collection needs. Not every company wants to pursue the same type of debt collection method. Our collection lawyers will listen to your company’s business model and then make suggestions on how best not only to collect on current past due account receivable, but assist your company devise a credit and collection strategy to keep past due accounts becoming problematic and becoming a drain on your company’s cash flow. Fell free to call the Florida collection attorneys at our debt recovery law firm to discuss how together our debt collection team can devise a debt collection strategy that is just right for your company. Our Florida collection lawyer has been concentrating his practice on commercial debt recovery for more than twenty-five years. Our collection lawyer looks at each debt collection case when it is received in our collection law firm to devise a strategy to maximize the potential to collect money for each client. No two debt collection cases are the same. Our collection attorney will explain the debt recovery strategy to your company so that the company is made aware of the various scenarios that could occur when pursuing collection of past due invoices. When collecting debt, your company should be aware of the differences between using a collection agency to collect your company’s money versus using the collection lawyers at a debt collection law firm. Collection agencies are very limited in what they can legally do to attempt to collect past due accounts. 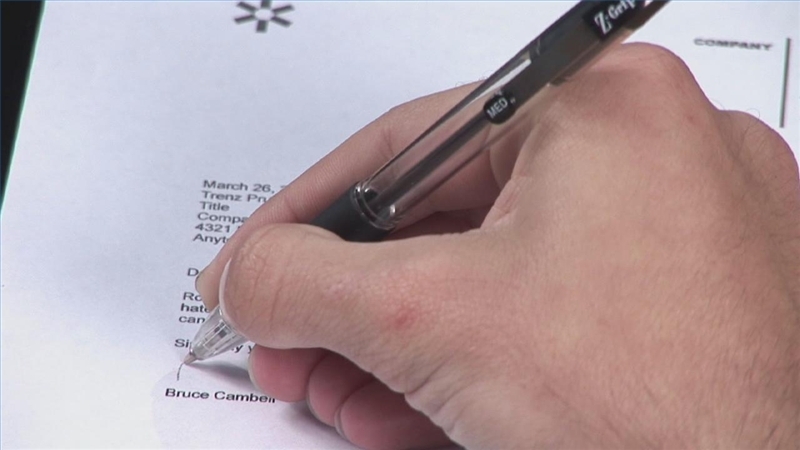 Collection agencies can only send demand letters and make debt collection phone calls. A collection lawyer not only is able to make collection calls to recover past due accounts, but can send demand letters for payment. The power of a collection lawyer signing a demand letter for payment has a much bigger impact than a debtor receiving a demand letter from a collection agency. When a debtor receives a letter from a collection lawyer, they are made aware that litigation may be imminent to collect on the debt. We encourage you to call our Florida debt collection law firm and ask to speak to our collection lawyer. Our collection lawyer will take the time to understand your particular debt collection needs. Working directly with our collection lawyer, our debt recovery law firm will be able to devise a collection strategy that is just right for your company on each case to help your company achieve a higher rate of collecting past due account receivable. As the economy continues to struggle, our debt collection attorneys continue to contact businesses attempting to collect money on past due accounts. Our collection lawyers are finding many honest business owners admitting to owing the debt, but because of their own personal cash flow struggles are not able to pay the debt in a lump sum payment. Our debt collection law firm is entering into many debt repayment plans. Creditors should keep in mind that until a matter is in in suit, there is no real teeth in the debt repayment plan. Many times, our collection attorney will recommend starting suit to recover money and then enter into a repayment plan secured by a court order. Collection agencies are unable to start suit to collect money. A collection agency is not licensed to practice debt collection law. Collection agencies send out a series of collection letters and then attempt to collect money by making repeated phone calls. Many times a collection agency will try to collect the account for an extended period of time when in reality a debt collection attorney will be more effective. The debt collection law firm is able to file a lawsuit to collect past due accounts. The collection lawyer will then be able to either settle the account or secure a judgment for the amount that is owed. Once judgment is entered, there are many different post judgment options that our collection attorney will discuss with you. Simply a collection agency is limited in what it can do to collect money. Collection agencies do have their purpose, but creditors typically find that placing an account for collection with a collection attorney has many advantages over placing an account for collection with a commercial collection agency. In past blogs, we have discussed the difference between using a Florida commercial collection agency rather than a Florida debt collection attorney. Collection agencies are not licensed to practice debt collection law. A collection agency typically will make collection calls and send a few collection letters to your customer to collect your money. If the collection agency is not successful, they then have to charge you a higher contingency fee and send the case to a collection lawyer. A debt collection law firm contacting your customer first to make demand for payment, has a bigger impact than your customer receiving a collection letter from a commercial collection agency. A debt collection lawyer after sending a demand letter and calling your customer demanding payment, can then recommend that a lawsuit be started to recover the money that is owed to your company. Once a lawsuit is started to recover your money, your company now has greater control over the debt collection process. Your customer will either recognize the debt and attempt to make payment arrangements with our office – hire an attorney, if there is a legitimate dispute to the debt or ignore the debt collection lawsuit. If the lawsuit is ignored, your company would be entitled to have a default judgment entered against your customer for the amount of the open invoices, costs and interest as allowed under Florida Law. To learn more about the debt collection process and about how our Florida collection attorneys may be able to help your company recovery its money, we encourage you to contact us and ask to speak to one of our collection attorneys. Working together, we will devise a debt recovery strategy that is just right for your company. The debt collection attorneys at our commercial collection law firm believe that if more companies were more proactive with their internal procedures relating to collecting their past due accounts, they would find that there would be a higher rate of recovery on accounts that they extend credit to. The eBook discusses the differences between collection agencies and collection law firms. Using a commercial collection agency can be useful in some situations. However, credit managers should be mindful that a collection agency is not licensed to practice law. When using collection agencies, if the collection agency is unable to collect on an account, they then must send the file to a commercial collection law firm. The collection agency will charge your company a higher contingency fee as the collection agency will act as a middleman and want to retain a percentage of the contingency fee. The eBook also discusses the debt collection process once a file is turned over to either a collection agency or debt collection law firm. Once a lawsuit is filed to attempt collection of past due accounts, the various scenarios are discussed. The e-Book gives an outline of the debt collection process. The collection attorneys at The Gebeloff Law Group are always happy to answer any questions your company may have. We will discuss the differences between commercial collection agencies, commercial collection law firms and how each may or may not be appropriate to help your company recover past due accounts. Our debt collection client’s frequently ask our collection attorneys-lawyers how long will it take to collect their companies past due account receivables. It is important to note that every debt collection case is unique. Below we will summarize what to expect when your account receivable manager places an account for debt collection with our law firm. If after a debt collection lawsuit is filed by our collection law firm, the debtor files no responsive pleading to the complaint, twenty (20) days after the summons is served, default will be entered. Thereafter, our debt collection client simply has to execute an affidavit of proof and our collection lawyers-attorneys will prepare a Motion for Default Judgment. In this scenario Judgment can be obtained anywhere from thirty (30) to forty-five (45) days. If a debt collection case is disputed by a debtor, the timing of a debt collection case depends on the dollar amount of the account receivable. In Florida, if a debt collection account is under $15,000.00 that would put the account in the jurisdiction of the Florida County Court Judicial System. 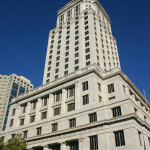 In Florida, debt collection cases filed in the County Court typically go to trial within four to six months after the debt collection case is filed. Debt collection cases filed by our debt collection law firm in Florida that have an account receivable above $15,000.00, put the account in the Jurisdiction of the Circuit Court. Cases in this jurisdiction typically take longer to go to trial than debt collection cases that are filed in the County Court. As previously indicated, each debt collection case is different. Our collection attorneys-lawyers work with our clients to try and streamline the process and get the debt collection case to trial and secure a judgment as expeditiously as possible. Once a judgment is obtained by our debt collection law firm, our collection attorneys-lawyers and debt collection paralegals will then devise a strategy to then attempt to liquidate the judgement. We encourage all account managers to call and speak to our collection attorney to devise a comprehensive debt collection strategy for all of their account receivables that have become delinquent. 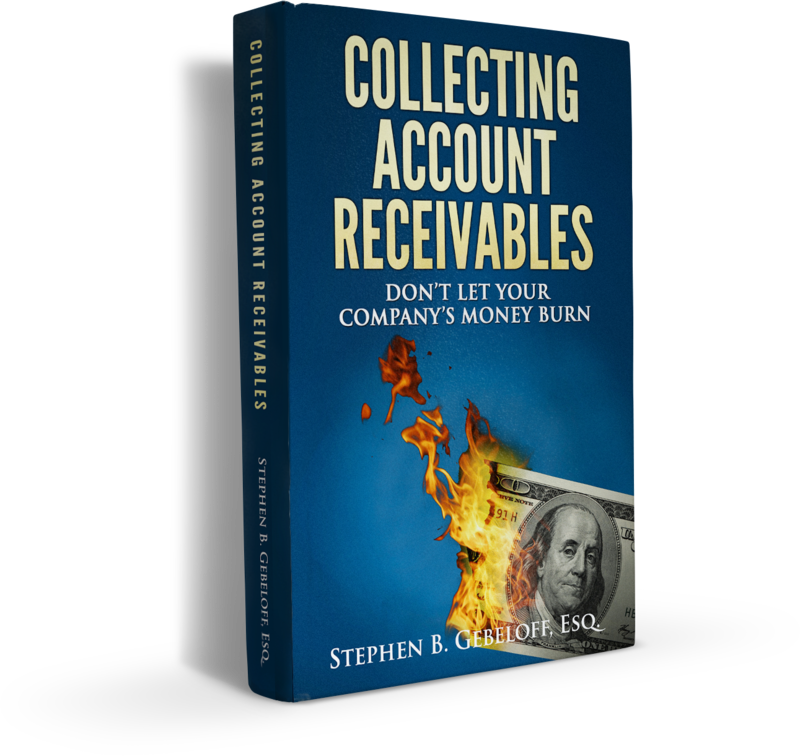 There are many studies that show the longer a creditor waits to take action on collecting past due accounts, the percentage of recovery drops over time. It is important for creditors to consult with a lawyer. Our collection law firm is frequently asked to answer the question can cashing a check with a restrictive endorsement “paid in full” mean that they have accepted the payment as full payment despite the fact there is still a balance due. This a complicated area and we urge our client’s to call our collection law firm and speak to our collection lawyer. Any writing affixed on a check or words contained in some form of document, i.e., email, letter, that refers to an accompanying check is considered a “restrictive endorsement.” Creditors should be versed on the effects of “restrictive endorsements” as cashing a check with a restrictive endorsement could lead to the conclusion that the debtor has achieved an “accord and satisfaction,” payment in full. At our debt collection law firm, we receive many inquiries from our debt collection clients on whether or not to cash a check tendered by a debtor with a restrictive endorsement. Our collection attorneys always err on the side of caution and advise our debt collection clients not to cash the checks. Our collection law firm also receives inquiries to our collection lawyers about situations where a check is sent to a lock box and cashed. Fortunately for our debt collection clients, all states, have adopted the recent revision of the Uniform Commercial Code, Article 3, Section 311 (UCC3-311), which is commonly referred to as “Safe Harbor.” The Safe Harbor principal is applicable to payments received in a system that is serviced by a third party (such as a bank lock box or a post office box). Typically, this is the creditor’s banking institution whose lock box is serviced by banking personnel lacking the knowledge and expertise to make an informed decision relative to restricted endorsements. The Florida statute is found below but generally a creditor should look to state statute to find a similar Safe Harbor provision such as UCC 3-311. The UCC 3-311 specifies within 90 days of depositing restricted payment from a buyer, the seller can send one of their checks back to the buyer in the same amount of the restricted check and preserve the creditor/seller’s legal remedies. The creditor should make sure the “reimbursement” check should be sent back via some mode requiring proof of attempted delivery. Our collection clients should note the buyer/debtor need not cash the “reimbursement check;” as the creditor/seller’s right to proceed with litigation is preserved by the act of sending back the amount originally submitted under endorsement text or provisions. Our collection lawyers also counsel our debt collection clients to make sure they put specific language in their contracts and or credit applications pertaining to where and to whom payment should be sent. This is important because the Uniform Commercial Code provides that if a credit grantor is made aware of a dispute prior to any type of final payment being made the creditor’s claim for an overdue balance is not discharged if within a reasonable time before tender the creditor stipulates that a restricted instrument (restricted check) must be sent to a designated person, office or place. If those instructions are not followed, then creditor remedies are available. (1) If a person against whom a claim is asserted proves that that person in good faith tendered an instrument to the claimant as full satisfaction of the claim, that the amount of the claim was unliquidated or subject to a bona fide dispute, and that the claimant obtained payment of the instrument, the following subsections apply. (2) Unless subsection (3) applies, the claim is discharged if the person against whom the claim is asserted proves that the instrument or an accompanying written communication contained a conspicuous statement to the effect that the instrument was tendered as full satisfaction of the claim. 2. The instrument or accompanying communication was not received by that designated person, office, or place. (b) The claimant, whether or not an organization, proves that, within 90 days after payment of the instrument, the claimant tendered repayment of the amount of the instrument to the person against whom the claim is asserted. This paragraph does not apply if the claimant is an organization that sent a statement complying with subparagraph (a) 1. (4) A claim is discharged if the person against whom the claim is asserted proves that within a reasonable time before collection of the instrument was initiated, the claimant, or an agent of the claimant having direct responsibility with respect to the disputed obligation, knew that the instrument was tendered in full satisfaction of the claim. Our debt collection clients are often confused on what they should do with a check with a restrictive endorsement ” Paid in Full.” Please feel free to contact our debt collection lawyers at our debt recovery law firm. Our collection attorneys are always willing to discuss a collection strategy to help our client’s minimize risk and bad debt. When collecting debt, time is critical to maximizing your recovery of your past due account receivables. As a collection law firm, we see time and time again our clients waiting on their customers repeated promises for payment. Our collection lawyers have spoken to hundreds of debtors. Our collection attorneys know when a debtor is truly experiencing financial issues that are not allowing the debtor to make payment. Our collection lawyers also know when a debtor simply is stalling and / or simply has no intention of paying for the goods or services your company has provided. Our collection law firm strives to quickly advise our debt collection clients the dynamics surrounding each debt collection case. Our collection attorneys believe that our clients when they engage a debt recovery firm should have all the facts surrounding a debt collection matter so they can make informed business decisions prior to spending additional time and resources in attempting to recover their money. Our debt collection firm and attorneys have the tools to assist our clients to paint a picture of a debtor’s situation. Our collection lawyers want to provide our clients with the information they need. Not every debt collection case can be recovered. But, our debt recovery firm wants to at least let our collection law clients know that we leave no stone unturned in at least presenting scenarios that effect the collectability of our clients past due accounts. At our collection firm, one of our debt collection attorneys would be happy to discuss your particular debt recovery case. Our collection lawyer will devise a debt collection strategy that is tailored to your company’s particular debt recovery needs. Please call our collection attorney or email us the particulars of your debt collection case.